Owing to our proficiency in this domain, we are providing our clients an optimum range of Flavored Protein Supplement. 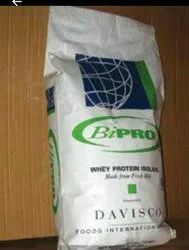 - High quality blend of WHEY Protein concentrates, Calcium Caseinate, Egg Albumen, Soy Protein Isolates, Milk proteins to repair and build Muscles. - Most recommended for building muscle size. - Fortified with nitric oxide booster precursor to give that extra pump while and after exercise. The GRD Smart is suitable for pregnant women as it is packed with whey protein.